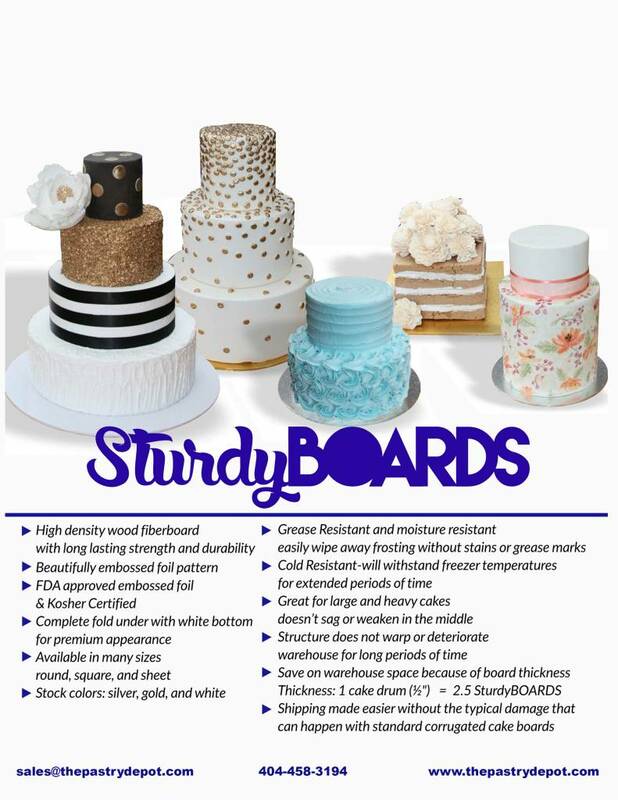 New Sturdy boards! Masonite boards wrapped in pretty foil. They save you the time and trouble of doing it yourself. They're also super sturdy! No more worrying about a heavy cake bending your cake drum.